Ever since I came across the idea in Noel Piper's book Treasuring God in Our Traditions, I wanted to make one. In her wonderful book, Noël expounds on and gives practical examples of the Piper family belief in creating “God-centered traditions, Bible-saturated family patterns, and grace-laden heirlooms”. “Advent is what we call the season leading up to Christmas. It begins four Sundays before December 25, sometimes in the last weekend of November, sometimes on the first Sunday in December…. “For four weeks, it’s as if we’re reenacting, remembering the thousands of years during which God’s people were anticipating and longing for the coming of God’s salvation, for Jesus. “We Christians on this side of Jesus’ birth are a God-blessed, happy people because we know God’s plan. The centuries of waiting are over. We have the greatest reason to celebrate. “And yet we are still waiting. Our spiritual redemption came to us with the baby of Bethlehem. Nevertheless, as Romans 8 says, “we ourselves, who have the firstfruits of the Spirit, groan inwardly as we wait eagerly for adoption as sons, the redemption of our bodies” (v.23). There is suffering and tragedy still, even for Christians. Someone we love is dying. We may be in pain. Sometimes we have trouble believing God’s promises. In other words, our redemption is not complete. We are waiting for the redemption of our bodies--waiting for Jesus’ second advent, for him to come again. 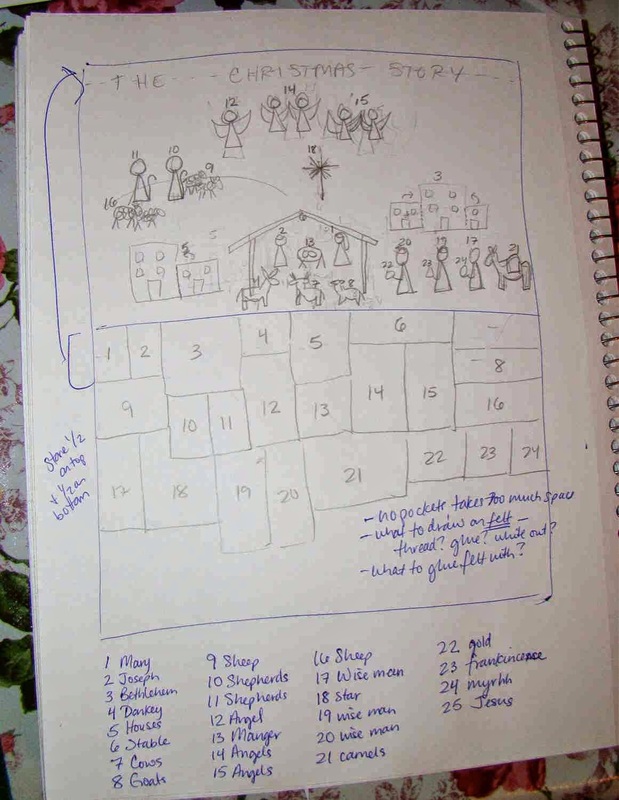 When I was getting ready to make my own calendar, I initially contacted Desiring God to see if they were still selling them (why reinvent the wheel? ), but… alas, they’re not making them anymore. Why couldn't this be the November you make an Advent Calendar for your own family? Just follow my easy, step-by-step instructions in this series to create a beautiful, unique Advent Calendar your family will enjoy year after year. 1. Map out your Calendar on paper first. 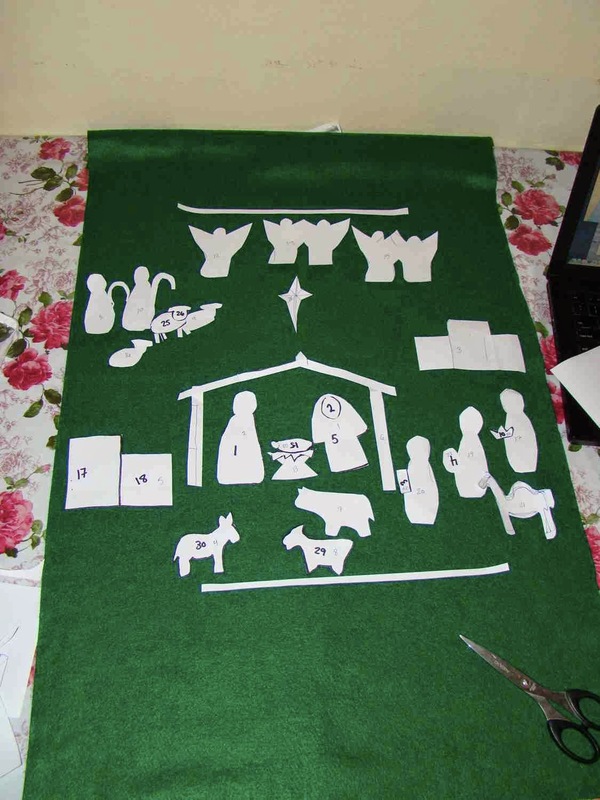 Figure out the basic proportions of your finished manger scene compared to the storage section for the pieces. On our calendar, I put the title at the top, with space for the completed 25-piece manger scene underneath (the kids will place one piece each day). At the bottom I left enough space to store all the pieces in rows. Feel free to arrange your calendar any way you want to. 2. 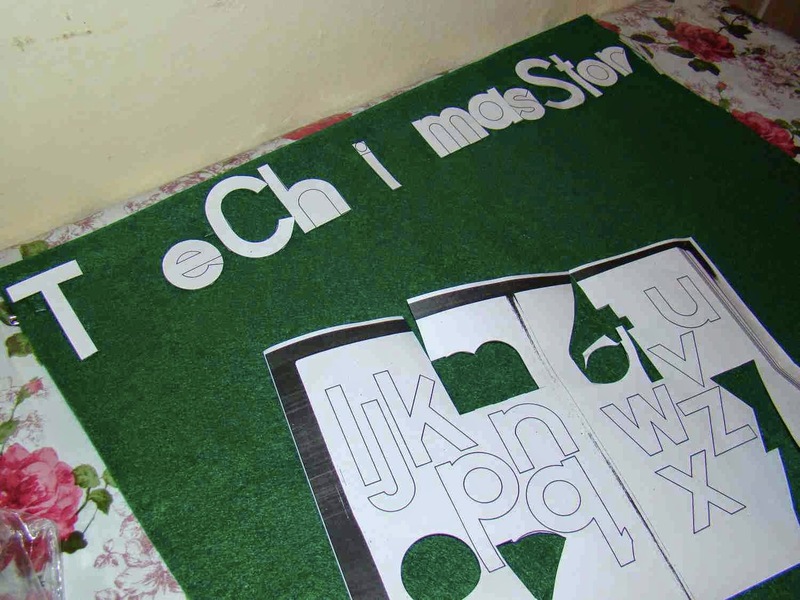 Next, print out the paper patterns and cut out enough pieces to see how they will fit on your background. My initial end result looked a little crowded; in the end I cut my actual felt characters down a little smaller. 3. If you like, go ahead and make an initial list of the characters and the colors of felt you want to use for each one. This will save time later and also give you an idea of how much of each felt color you will need. 4. Google “alphabet block pattern” and choose a simple style of lettering you like. Print it out, and cut out paper patterns for the letters in the title: “The Christmas Story” to make sure all the letters will fit across your felt background piece. Part 1 complete! Great job! 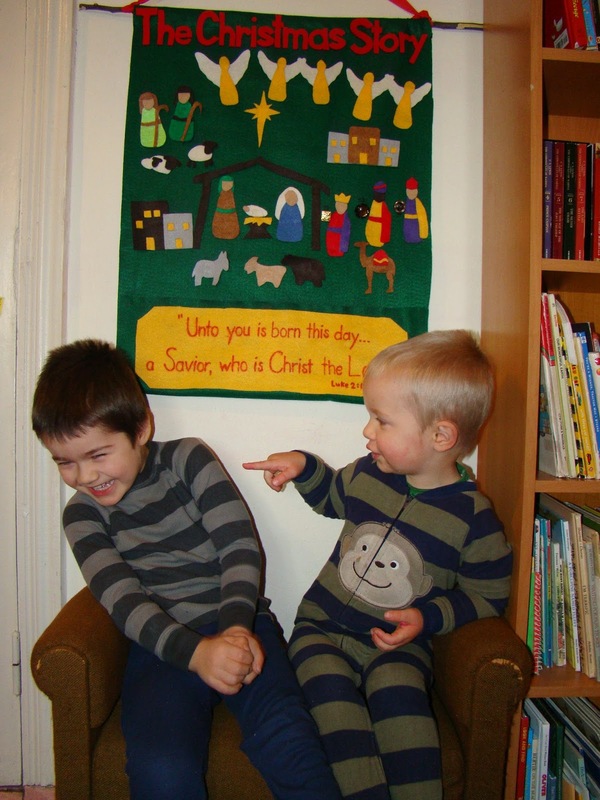 How are you planning to celebrate the season of Advent as a family? Leave a comment with a description of an Advent memory, an idea for an Advent tradition, or an insight into the meaning of Advent. I’d love for this post to become a collection of creative ideas for celebrating the season of Advent with your children! Let’s have fun together coming up with creative ways to keep Christ at the center of Christmas! Nice, I love your holiday visuals! I got about halfway done cutting out the felt figures last year, maybe this year I'll get a little farther. I felt that they were a little flimsy, so I need to add backing. Go for it, Elizabeth! You can do it! It shouldn't be too hard to trace each finished figure on a neutral backing color and glue it on - that should make them nice and sturdy. Let me know how it comes out! We are looking forward to using ours this year in New Zealand on home leave :) Love that it's so portable, and it says "Christmas" to our kids wherever we are!